On June 4, 1963 your role in the world changed. On that day you became a mother. My mother. You gave birth to me in a country that was foreign to you. On that day there was no mom or dad to cheer you on. No family to lend a hand and no friend to give you advice, yet you brilliantly stepped into the role of motherhood. As I look back on our years together, memories flood my mind. I remember crawling in the bed with you on those early, cold mornings and snuggling up to you so soft and warm. I remember when we would pile up in my canopy bed and you would read me bible stories. I remember the smell of Oil of Olay when you would come in to kiss me good night. I remember how you would smell of my cheek every time you kissed it and then you would say, “you smell so good”. I can remember the times you would stop what you were doing so we could wrestle on the bed. I remember thinking how beautiful you were and how I wanted to look just like you. You would let me walk in your high heel shoes and wear your jewelry around the house. You never cared. I remember you teaching me how to put on make-up and act like a lady. I remember shopping until the stores shut down….literally. I remember staying up late and talking about my dates and boy stuff. I remember how much fun we had planning for my wedding and shopping for my dress. You were the first person I told when Devin asked me to marry him. The first one to see my ring. The first one to know when I got pregnant with Colton…..even before Devin ;-). You are the first one I go to with happy news. We have the same sense of humor and the same sense of style. You have been the single most influential person in my life and for that I am forever grateful. When I run into a road block and am not sure how to handle it, I think to myself….what would mom do? You pray for me constantly. You laugh at my jokes. You encourage me when I am down. You believe I am the best person to ever walk planet earth and that I can do anything. You are my example of a Godly woman. For supporting me in all I do. “I can only HOPE I age 1/2 as well as my mother and grandmother” … She has good roots, no doubt about it! Happy Mother’s Day “Mrs Bless Her Heart” and your beautiful mom, Glenda! Love ya! Thank you my sweet daughter. I could not ask for a better gift than this, eventho it makes me cry. I had a wonderful BD and 3rd Anniversary for Mac and I. Roses, dinner and a lovely ring from my sweet husband, lots of Happy BD messages, cards and my third birthday dinner today with my daughter(the joy of my life). Thanks to all my wonderful friends who mean the world to me. Thanks to Diane, Alma and Virginia for lunch and a fun day of shopping. Friends and family make life worth living. I was also blessed with a phone call from my niece in San Antonio who I have not seen in years. I love you Avera family. God is so good to me. Tonya, I love reading all your blogs but this one made me cry. Your mother is beautiful, and you are just like her. This is the kind of mother I have tried to be to my daughter. 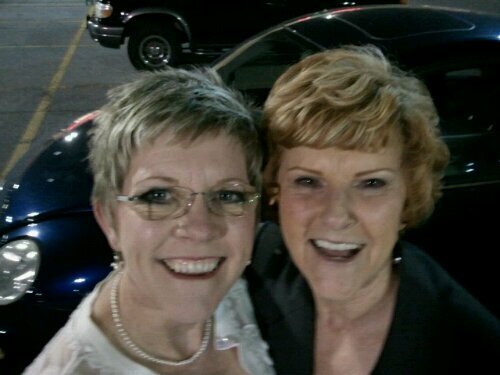 You are blessed beyond measure to have Glynda for a mother! God bless you both!